In 1943 during the Second World War many wooden barracks on the area of Siemens in Berlin had been destroyed due to aerial attacks. 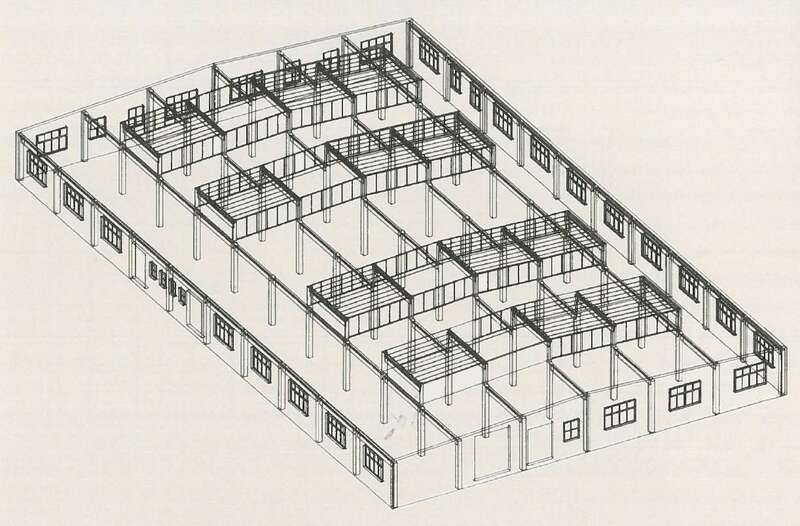 In search of alternatives Hans Hertlein developed the concept of the "Normalschuppen". With the help of normed pieces it was now possible to errect and expand buildings very flexible and on the other hand replace damaged buildings and parts due to war activities. The concept only needed 4 pieces to build even complex factory workshops. The basic grid is 5m x 5m, the work area is flexible use- and extendable even a complete deconstruction and reconstruction in another place was possible. 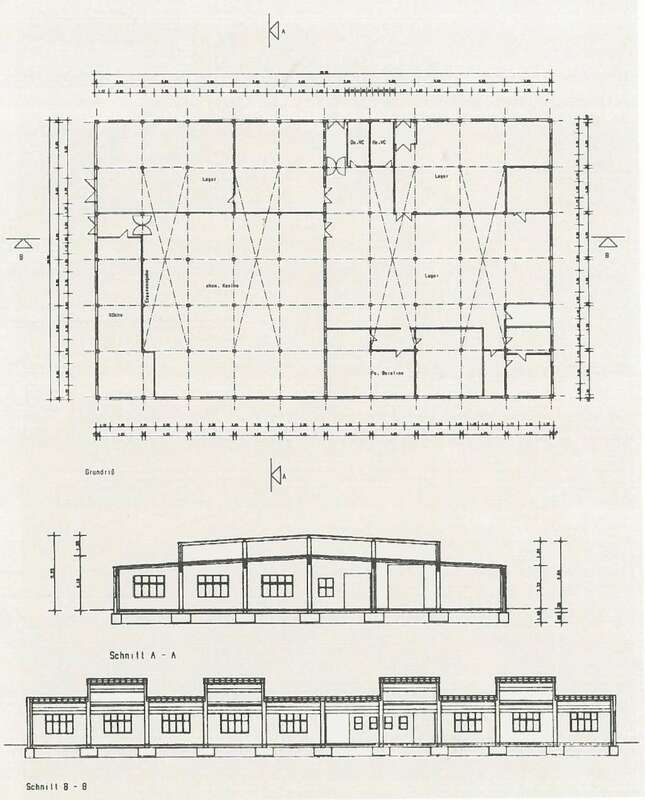 In 1944 Siemens built several of these buildings. 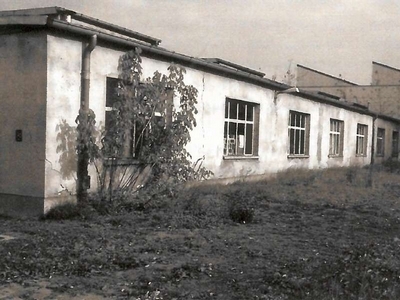 The only building that survived the war resides on Wohlrabedamm 13 and is now the head office of TechnoLab GmbH. It is the only remaining example of this genius pre-cast segment system which was developed by Hertlein in the end phase of the war and shows impressively the high conceptual quality for industrial construction under difficult conditions. The modular construction system of the pre-cast segments for the Normalschuppen W540 is an exemplary result of the standardization in Germany due to the war. 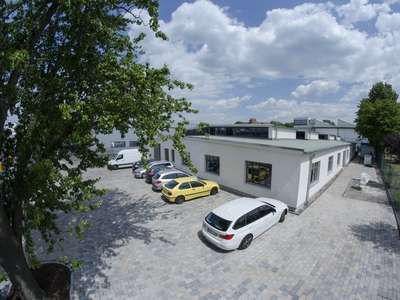 Technolab GmbH was founded in 1996 by former employees of DeTeWe and started with 6 staff members. At first, the main focus lay on material tests and quality controls and the client base contained only local companies. 2017 the number of employees reached more than 25, the company has its own building and the offered services now contain environmental simulations of all kinds and failure analysis. Side note - the company name TechnoLab was formed from the words "Technology" and "Laboratory"